I love pork products. Probably more than the average person (well not as much as Chef Michael Symon who has multiple pigs tattoos – but close). So naturally when I had an opportunity to partner with the National Pork Board it was a big giant no brainer. I am official now. Yes officially a Sister Cites of Ham Ambassador (Raleigh – DurHAM) and I have a badge to prove it. A celebration was in order which had to include what else? Ham! 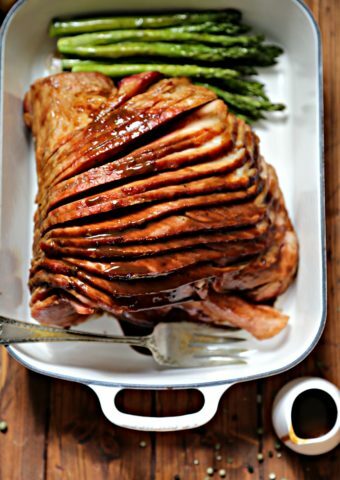 This spiced roasted ham with glaze. It’s a showstopper and it couldn’t be easier to make. Promise. The nice folks at the National Pork Board supplied me with a complimentary coupon to pick up a ham. I chose a spiral cut beauty that came in around 7 pounds. 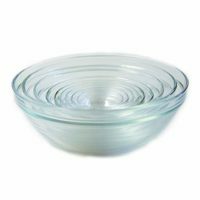 You don’t have to use a spiral cut, for me it’s just one less thing to tackle when it comes out of the oven. I’m impatient and let’s be honest, it’s pretty irresistible straight out of the oven. The smells from the spices, the shimmer from the glaze. I can hardly contain myself just thinking about it now. Because I think everyone should try this spiced roasted ham with citrus glaze recipe (it’s that good and makes a wicked good sandwich the next day with leftovers, you’re welcome) the nice folks at The National Pork Board are giving away a $30 coupon (which by the way will buy a honking big ham enough for say Easter dinner coming up) to one lucky reader! 1. 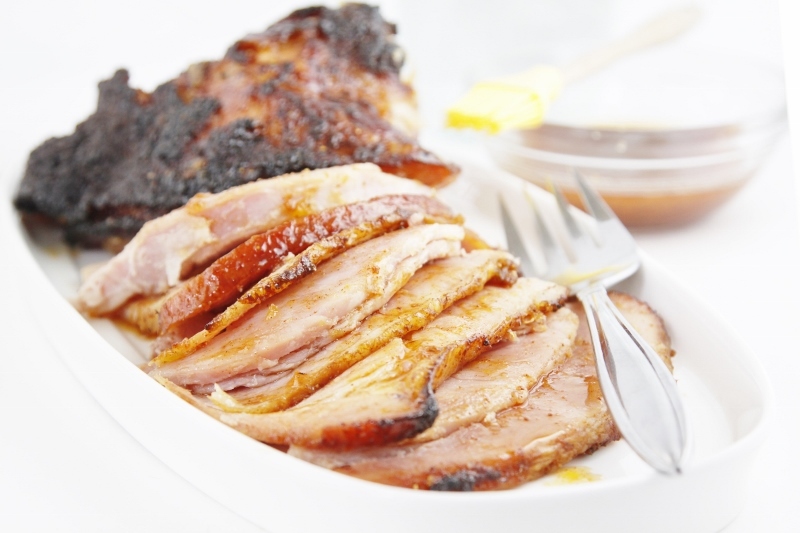 Leave a comment telling us what is your favorite way to prepare ham. 2. Follow bell’alimento on PINTEREST Pin a photo from this post. 3. Follow bell’alimento on TWITTER. 4. Follow @allaboutpork on TWITTER. RULES: Sweepstakes is open to those 18 years of age or older with a valid US mailing address. Odds of winning depend on number of entries. Sweepstakes runs March 18 – March 22, 2013 at midnight EST. One winner will be randomly drawn and notified via email. Winner has 24 hours to reply or prize will be forfeited and an alternate winner will be drawn. Disclaimer: This post and sweepstakes is sponsored by National Pork Board. I was compensated for my time. Opinions are my own. Always have been. Always will be. Preheat oven to 400 degrees. Position rack on lowest setting of oven. If you are not using a spiral cut ham, into the fat, score a 1/8" diamond pattern into the ham. In a small bowl, combine: coriander, paprika, cumin, cinnamon, and cloves. Rub spice mixture over all sides of the ham. 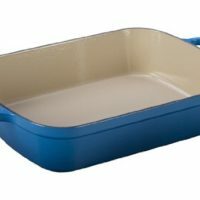 Place ham, flat side down, in a large shallow roasting pan and cook until the internal temperature of the ham reaches 140 degrees F, 1 1/2 to 2 hours or 15 to 18 minutes per pound. Meanwhile, in a small bowl, combine: marmalade, orange juice, and sugar. Brush marmalade mixture over the ham. Return to the oven and roast for additional 5 minutes, until the glaze is lightly caramelized. Remove ham from the oven, transfer to a cutting board, and let rest 15 to 30 minutes prior to slicing. This would be the perfect Easter ham, delicious! My favorite way to make ham is with lots of spices the way you did yours! I just reheat the ham in the oven. But I will definitely try this recipe. I always make a glazed ham but have never had a spicy glazed one. Will have to try this! 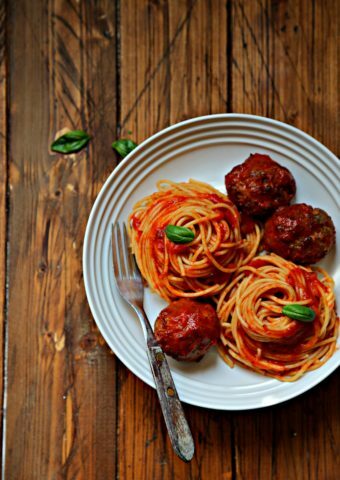 I Followed bell’alimento on PINTEREST and I Pinned a photo from this post and the recipe. Spiral cut, with a pineapple-brown sugar glaze (plus more for dipping). It’s delicious. Thanks for the chance to win! I love to make a honey glazed ham and then use the leftover bone for red beans and rice! I follow you on twitter (duh). I follow allaboutpork on twitter now too! I love ham prepared in Ham and Bean soup! YUM!! This looks amazing Paula. Great giveaway!! I Follow @allaboutpork on TWITTER. I like my ham roasted long & slow. I like making honey ham. Follow National pork board on twitter @hewella1. Follow bell’ alimento on twitter @hewella1. I like ham fried with biscuits. I’ve actually never cooked a ham before. Growing up, we kept kosher so we never had ham and I’ve just never made one. But since EVERYTHING you make is fabulous, I’m sure this is, too! ham and cornbread with red-eye gravy. 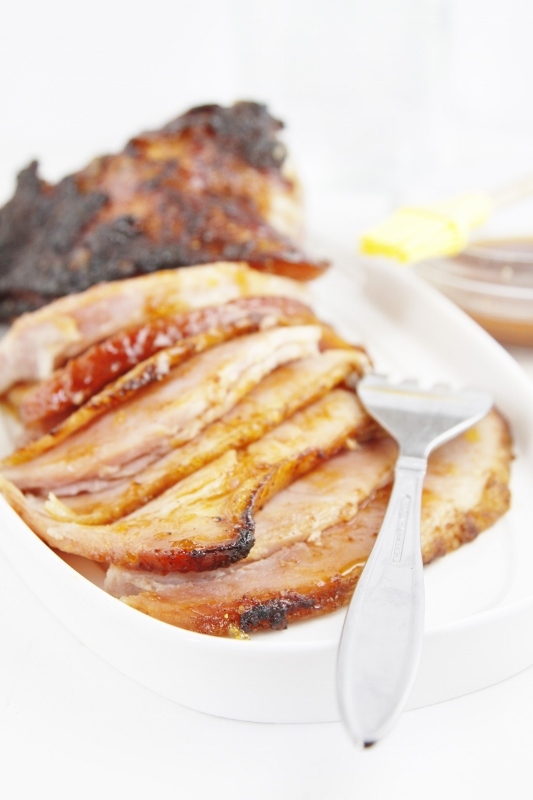 I roast the ham until almost done then glaze it with Saucy Susan…yum! I follow @allaboutpork on twitter @raechef2. I follow bellalimento on twitter @raechef2. I usually score my ham, stud with cloves and then do a pineapple, brown-sugar glaze. Love it! Love these flavors. This is similar to our Christmas ham! I follow bellalimento on Pinterest and I pinned this wonderful ham recipe! i follow bellalimento on twitter! My favorite way to make ham would be soaked in ginger ale then dump that. I bake it for half hour pouring more ginger ale over it, then a good basting of apricot jam, bake for about an other hour basting the whole time. With what else scalloped potatoes! Oh now I am so hungry! I typically just buy a Honey Baked Ham and serve! But I do use a ham in all kinds of recipes: very often a pasta with cream sauce and peas. And then the bone I use for a big pot of black beans and rice. 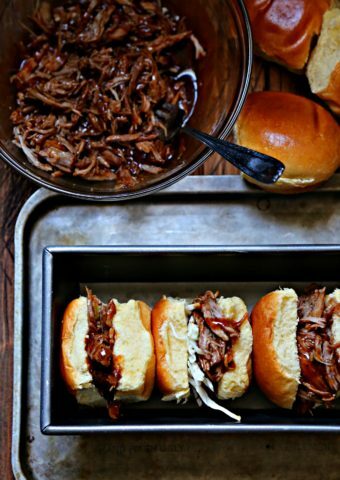 I’m crazy about pork: there are so many different ways we use it! I follow you on Twitter. I’m @BoonieSooze. I follow @allaboutpork on Twitter. I’m @BoonieSooze. I make a ham and white bean stoup. it’s delicious, thick, hearty and filling. 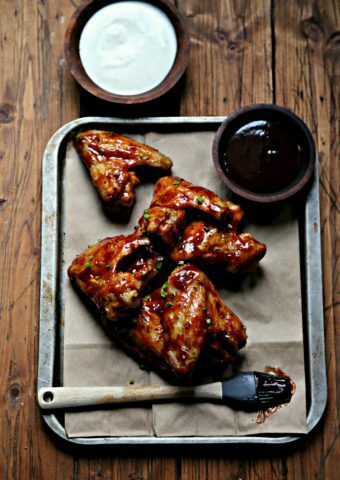 The best way for me is in a slow cooker on low for 4 hours with orange juice and brown sugar! I love to make mine with brown sugar glaze! I like my ham wihtout glaze usualy but this sounds good. I like mine roasted with a honey maple glaze. I love honey glazed ham. i follow Bellalimento on Pinterest and pinned a photo from this post. Whoa…that is one gorgeous ham! We serve ham every year at Easter, and I’m always looking for new ways to prepare it. I like my ham with cloves and pineapples. I prefer to bake my ham in a sweet-sour style glaze. Follow bell’alimento on PINTEREST & pinned something from this board. I love a sweet raisin glaze. I love a good glazed ham for Sunday dinner — this sounds deeeeeelicious! I roast my ham with onions and pineapple on top! I follow bell’alimento on Twitter (@skkorman)! I ollow @allaboutpork on Twitter (@skkorman)! My favorite way to prepare ham is brown sugar roasted with pineapple. yum! I have fond memories of helping my Mom prepare the holiday ham. She would let me stud the ham with cloves. She made a wonderful brown sugar & mustard glaze and adorned with rings of sweet pineapple. It was always delicious! Thanks for the giveaway! I love it on sandwiches! I love mustard glazed ham. I love my ham roasted in the oven with brown sugar and pineapple! 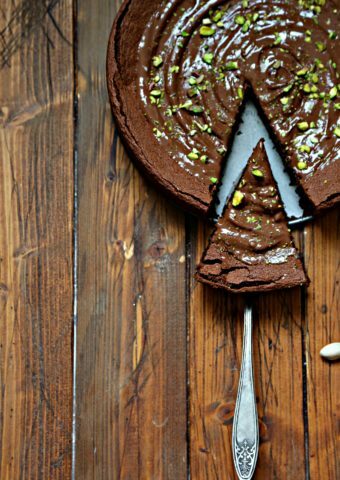 I follow bell’alimento on Pinterest! I love baked ham with a maple glaze, although I have tried a peanut butter glazed one and really liked it. Rather than glaze my ham, I like to mix brown sugar, salt, dry mustard, and ground cloves. I pat this all over thehot cooked ham, then blowtorch it until the sugar melts, then turns crunchy like a Honeybaked ham. Very good! I like to bake the ham with a sweet maple glaze. I’ve never actually made a ham but would love to try! I love marmalade with ham, what a great recipe!!! 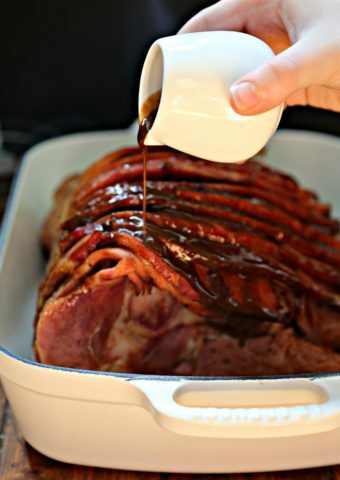 My favorite way to prep ham is with a brown sugar glaze! My favorite way to prepare ham is…..anyway!! I just love it! Oh I guess I am pretty boring…I just make it plain! I will have to try this recipe! I normally just bake them! Love making ham; this recipe is SOooooo going to be on my Easter menu! My family loves it and we make a special ham recipe every Easter. Can’t wait to try it. Thanks so much Paula! I put a ham in my roaster, covered in tin foil, for a couple hours. Then, just as it’s finishing, I cover it in a brown sugar glaze! Ooooh so good! @purplelover04 Follow @allaboutpork on TWITTER. I love baked ham topped with pineapple and brown sugar. I’m a mustard fan so any preparation of ham that involves mustard is the best to me! Such a gorgeous ham, Paula! Great recipe and giveaway, thanks for sharing. 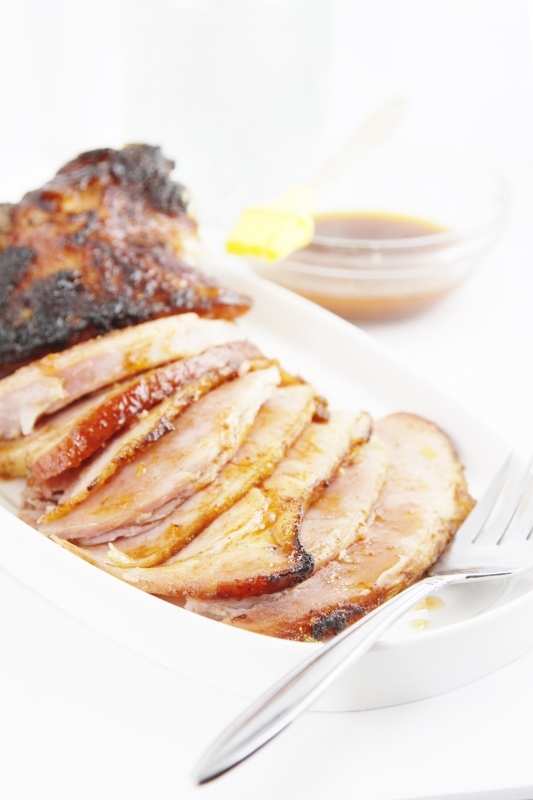 My favorite way to prepare ham is with a sticky homemade orange glaze and fresh herbs. Have a great weekend! Mustard glazes are my favorite hams. Sweet, spicy. Yes. My favorite is with a blackberry-mustard glaze. ummm congrats on your badge… its well deserved after making a beauty like this! Love all the spices! Loving this orange and spice combo!! Beautiful ham perfect for any holiday table!